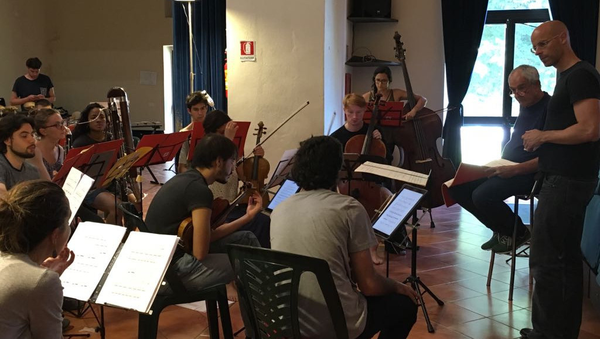 The ULYSSES Ensemble, created by the ULYSSES Network, is a chamber ensemble of 15 to 20 European performers aged 18 to 30, who have been selected especially for this project. 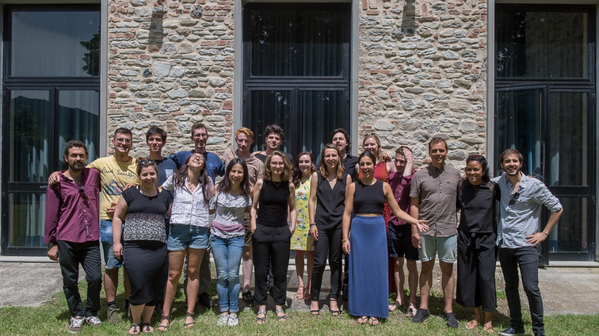 Together they are touring five major European contemporary music events, having the opportunity to work with leading conductors, composers and performers on key repertoire and new works. 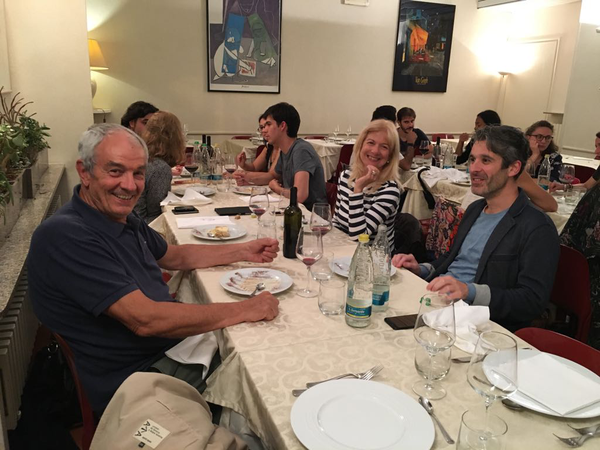 The Italian stop of the ULYSSES Ensemble is over. Everybody is tired, but smiles are on everyone’s face. Long hugs and cheers in the warm summer night, after the concert in Milan and after some beers. See you soon in Paris, or in Royaumont, and then in Utrecht. Let’s get some rest, then let’s plunge in another full immersion in new music. 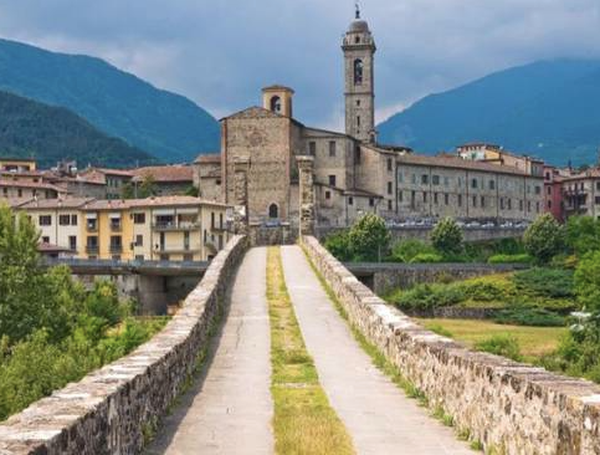 Bobbio is a small, ancient town, not far from Piacenza. 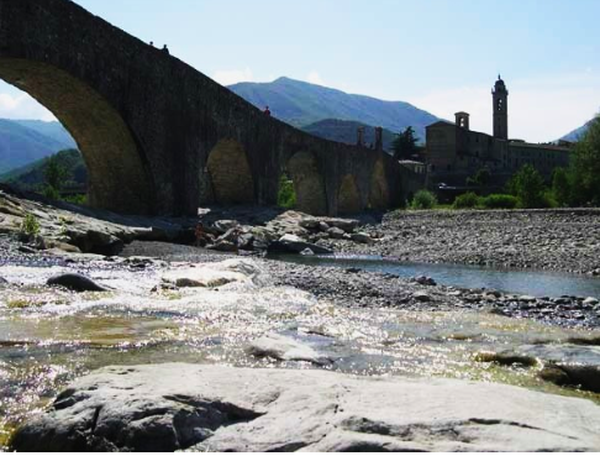 Its famous “ponte gobbo” (hunchbacked bridge) shows Bobbio’s Roman origins, while the wonderful San Colombano Abbey, founded in 614, reminds of the importance of Bobbio as a cultural centre in the early middle ages and of the thousands of pilgrims devotees of San Colombano that stopped here. 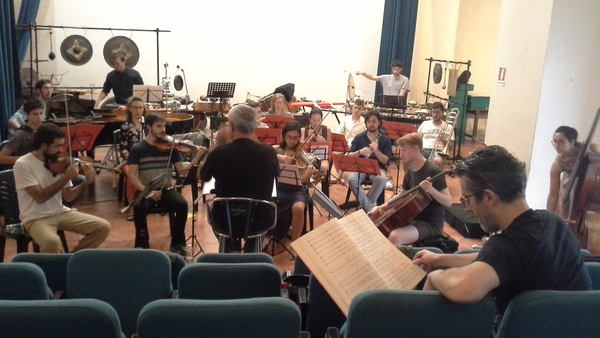 In the afternoon the whole of the ULYSSES Ensemble begins its intense period of rehearsals. 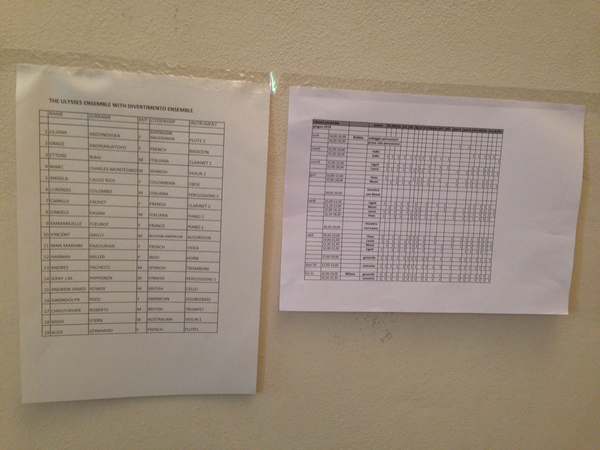 Six intense days of work: usually 10am-1pm and 3-6pm, with some exceptions (even longer sessions!). 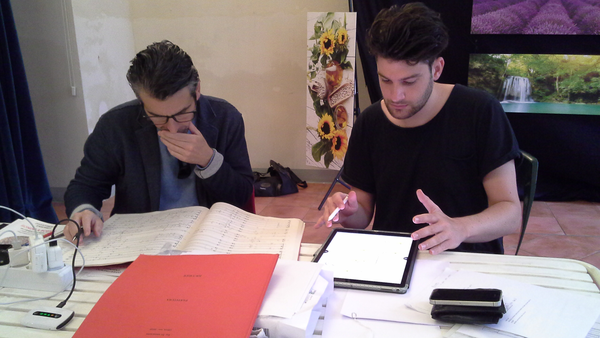 The two composers Marco Momi and Mauro Lanza arrive in Bobbio a couple of days after and since then they attend all the rehearsals of their pieces. They also hold one master class each, talking about their music and their personal attitude towards composing (longer days for the musicians!). 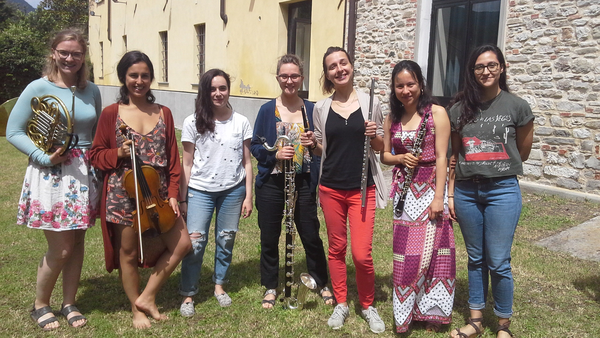 Taking a pause from the rehearsals, during a rare moment of sunny weather! On Thursday, a special dinner in a renowned restaurant offers a taste of some inviting specialities of the region. At last the first concert! 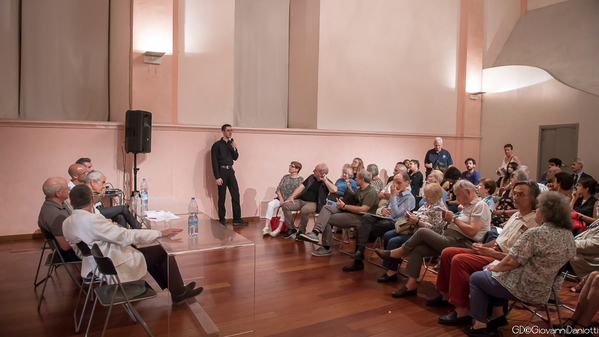 On Sunday, the 10th of June, the audience is welcomed in the Auditorium Santa Chiara, were we spent all the week rehearsing the program. It is a wonderful and warm summer morning. Congratulations! It was a fine performance. 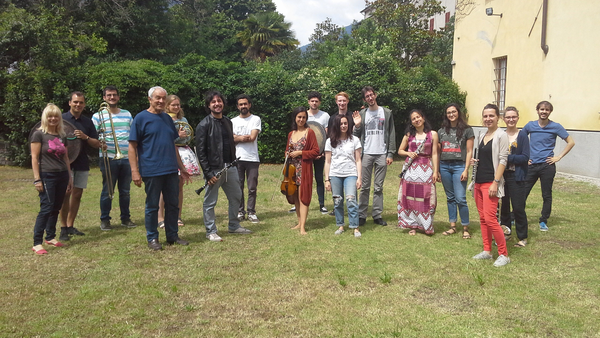 After the concert in Bobbio we all leave for Milan. 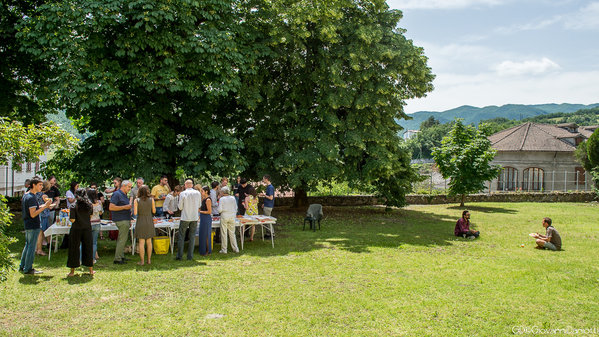 The musicians are hosted by some Milanese families that wish to take part in the ULYSSES Ensemble project and open their homes to the young artists. Talking during breakfast or drinking an infusion before going to bed make it possible to enter each other’s life and enjoy domestic hospitality. 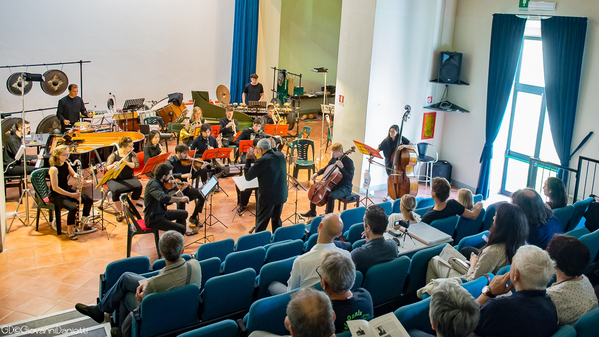 On Monday, 11th of June, a presentation of the ULYSSES Ensemble project takes place in the foyer of Teatro Litta, a fine baroque venue in the centre of Milan. 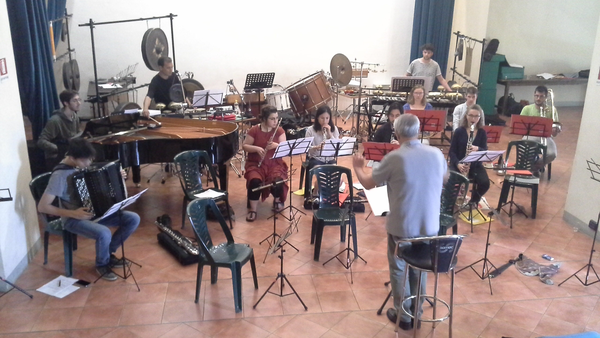 Andrew Gerzso from Ircam and Jean-Philippe Wurz from Royaumont Foundation have joined Sandro Gorli and the composers Mauro Lanza and Marco Momi: they will describe together the project and tell their experience with the ULYSSES Ensemble. The audience, some journalists and the families who are hosting the musicians are attending the presentation. Some musicians of the ULYSSES Ensemble have their say, too! It is a special moment for all of us. 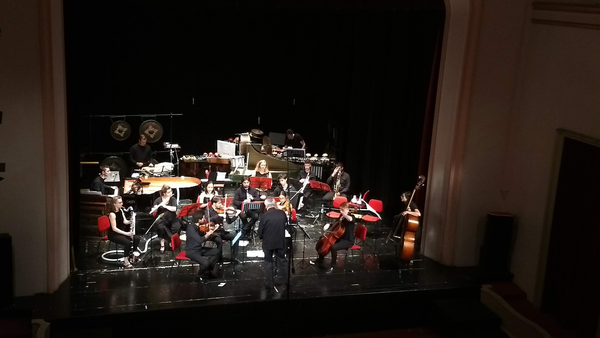 Finally, the concert at Teatro Litta in Milan. Again a very good performance, though different from the concert in Bobbio. 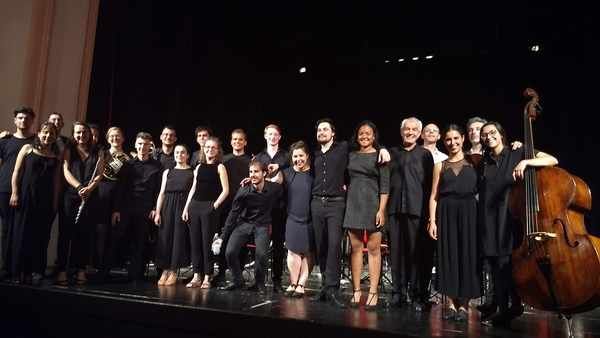 At the end, everybody is commenting which piece was better in Bobbio, which passage in Milan… Actually, all the musicians seem satisfied, and the conductor Sandro Gorli congratulates the ensemble: the program was very difficult and both concerts showed a professional level. Arrivederci in Paris at IRCAM’s ManiFeste Academy and Festival - ready to rehearse a new program and to live a new intense experience with new music.